Get the answers you need quickly! and August which can affect whether we can launch the boat or not. Yes! Of course as with all countries, it's important to be vigilant and take necessary safety precautions but as a country it is very safe. 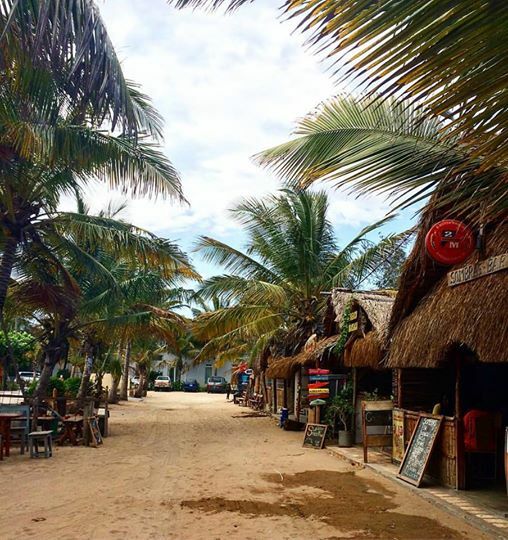 Tofo and Inhambane are especially safe with incredibly warm and welcoming people. for what is included in each one. I am not a diver, what can I do during my stay? into the water so that you can snorkel with them. to see Seahorses, Juvenile Frogfish and many more micro marine life. island and having lunch on the island. sunset whilst enjoying a refreshing drink and some local snacks. SIM card for reasonable prices. It is very simple and cheap to do this. We have both DIN and Yoke (international) valves so you can use any regulator! is the most common plug in South Africa. I am not a diver but would like to learn. What courses do you offer? Instructor Course. Please check our website for all the courses we offer. can sometimes make it a little disorientating, so better to be safe than sorry! and theory and promotes your safety as a diver. What safety equipment do you have on the dive boats? phones and a marine radio. Can I do night dives or wreck dives? lights on the beach or on the boats. We only do recreational diving in Tofo. You mention that you’re eco-friendly, what are you doing for conservation? are providing locally sourced ingredients with no wastage. How do I get to Tofo? From South Africa, you can fly directly to Vilankulos which is approximately 4 hours' drive from Tofo. We are approximately 1000km from Johannesburg so you can get here by bus, car or plane. We also have a local airport (Inhambane) which is 25km from Tofo. There are daily flights to Inhambane from Johannesburg and Maputo. There is a bus tour operator called Tours2Moz who do regular journeys between South Africa and Mozambique. From Maputo, we are approximately 500km so you can drive, take the bus or fly via Vilanculos with a domestic flight with LAM to Inhambane. There are a couple of operators from Maputo but the most common is the “Fatima’s Bus” which takes about 9-10 hours from Maputo and runs daily and costs around €10 each way. There are also big buses from Maputo with a new company, Etrago, which takes approximately 10 hours and costs around €10. The drive is quite straightforward but it's important that you drive in the day time because there are no street lights and it makes it very difficult to see people, animals and potholes! If you are driving you'll need to make sure you have your driving license, car papers and insurance. You should join the DriveMoz Facebook group before travelling. For bookings, you can book directly from our website or through emailing us at info@liquiddiveadventures.com or you can book with one of our international approved agents. You can either do a bank transfer; pay with Paypal; pay in cash when you arrive (we accept USD, Euros, Mzn); or pay with a debit/credit card but there is a 5% charge to cover Mozambican bank charges. There is an ATM at the local petrol station 5km from Tofo. You can use Visa or Master card. Cash is king generally in Tofo, not many places accept cards. You can easily change US dollars, Rand & Euros locally in the market at a good rate. What is the cost of living in Tofo? The cost of living in Tofo is very low: you can budget around €10 - €15 per day for food and drink. Travellers with citizenship of an SADC country do not need a visa (Botswana, Cape Verde, Malawi, Mauritius, South Africa, Swaziland, Tanzania, Zambia, Zimbabwe) to travel for leisure. From other countries you will need a visa that can be obtained at immigration at the airport or on the border. You will need proof of return ticket, accommodation confirmation and/or invitation letter. We can provide clients with an invitation letter. To obtain a visa on arrival, it is a approximately $50 and is for 30 days. If you want to stay in Mozambique more than 30 days, you need to apply a vision advance. Only visas applied in advance from your own embassy, can be renewed twice at the immigration centre in nearby Maxixe. Please check the latest information with us as it can change from time to time. It is essential you bring your Dive Certification card. If you wish to use Nitrox, you’ll also need your Nitrox Certification card. If you haven’t got Nitrox Certification and you want it, you can do the course with us. It is recommended that you have Dive Insurance. We recommend DAN (Diver Alert Network) as they are specialists in diver safety. We can offer discount for bringing your own equipment (BCD, Regulator, Wetsuit). We have everything you need here and all dive prices include full equipment rental. It is 800mzn per day to rent a dive computer. We can provide mask, snorkel and closed heel fins but we’d recommend bringing your own for comfort and fit. Insect Repellent and Medications: you can get common medicines in nearby Inhambane but if you require specific medication, you should bring it with you. Tofo is also a high malarial area so we strongly advise taking anti-malaria medicine for the duration of your stay. We recommend Malarone or Doxycycline but NOT Larium. We recommend bringing a supply of broad spectrum antibiotics, painkillers, anti-diarrhea tablets, antihistamines, antiseptic cream, cold and flu medicine, swimmers ear, antibiotic ear/eye drops, antibacterial handwash. Sun protection, hat and sunglasses. The sun is extremely strong here. Portuguese is the national language of Mozambique but conversational English is known across the country. Most Mozambicans can speak a little or a lot of English. The local language in Tofo is Bitonga so you can say "Bon Geeday" to thank anyone when you arrive! Your safety and health are of the highest importance to us. We advise all guests to have travel and dive insurance that covers emergency and medical assistance. We have emergency and first aid equipment and we aim to prevent as many accidents as possible and to minimise risk. The nearest hospital is 25km from the dive centre in Inhambane. The closest hyperbaric chamber is in Durban, South Africa which is approximately 1000km from Tofo. We ensure that our divers dive conservatively, and stay safely within no-decompression diving limits.